Furnish spiral stairway as manufactured by Stairways Inc., 4166 Pinemont Houston, Texas 77018 (1-800-231-0793). Stairway shall be shipped in a complete single unit. Three Generations of experience allows reliability and on-time delivery of an outstanding product. 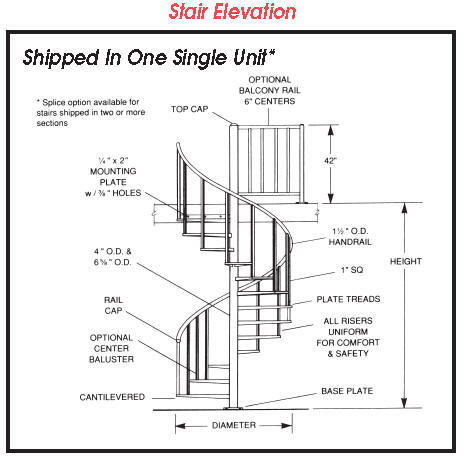 Stairways, Inc. spiral stairs to meet any job specifications. It is the customer's complete responsibility to notify us of building codes or special requirements. 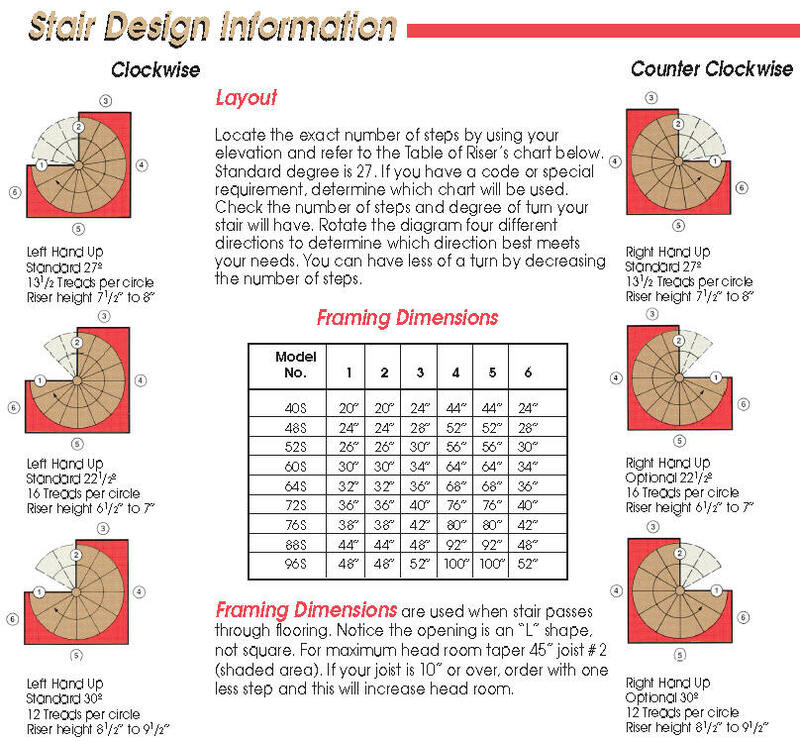 National Building Codes (BOCA) or Uniform building code requires a minimum of a 60" diameter spiral with 30 degree treads and a 4" on center maximum spacing for balusters. Before ordering, check with your local building inspector for code requirements in your application. Standard primer, zinc-chromated reddish brown rust inhibitor, black acrylic enamel , epoxies, or hot dipped galvanization applied over chemically cleaned surfaces. We will design and manufacture stairs to meet any job specifications. It is the customer's complete responsibility to notify us of building codes or special requirements. stairways are made from a variety of materials: Steel, Aluminum, Stainless Steel, Brass, Bronze, Oak, Pine, Walnut, Teak and Cherry. Available Finishes include: Mill, Polished, Satin or Coated. Any degree of step can be cut for special rotations. Stairs having to meet code are required to have 30 degree steps. 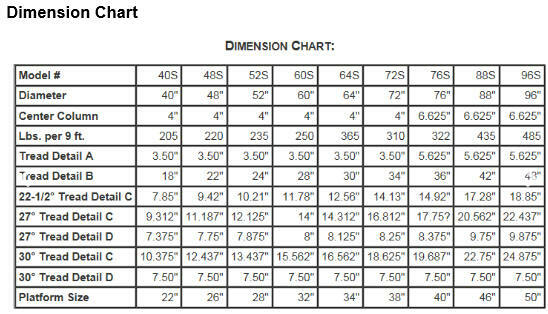 This table is limited with space any height below or above this chart can be achieved.